The one of the main problems of contemporary construction material production is problem of obtaining concrete compositions of high quality. The possible way to resolving this problem is modification of a cement stone structure that allows using all durability potential of the crystalline hydrates and also increases the quality of all concrete components. We have investigated the ways of concrete quality improvement by using nanotechnologies and nanomaterials such as magnetic activation. Let`s consider the results of application of AVS unit (Intensifier of Technological Process by PC GlobeCore) during the production of fine-grained concrete compositions. We have used standard methods to research the durability characteristics and physical and mechanical properties. We have made the test of mixing concrete components four times. This was made in order to provide homogenization of concrete components including nanoagents. To intensify the process of components mixing in AVS unit we have used ferromagnetic particles covered by polymer coating. In other cases we have investigated the influence of Intensifier of Technological Process on production of magnetic mixing water. Solutions of the one composition were made from the same fillers. Mixture ratio of components is 1 to 3. Cement-water factor ranged from 0.6 (for examples which were hydrated by the magnetic water) to 0.8 (for examples which were hydrated by the ordinary water), content of nanoagents ranged from 0.5% to 2%. Time of water processing by the variable magnetic field is from 2 to 5 seconds. Results of test show that even small quantity of carbon nanoparticles and their application increase the complex of properties of concrete. The maximum degree of the test sample durability can be obtained by adding of additive agent whom is equal to 1% all batching mass. Durability peak is in the range from 0.5% to 1% of nanoagents content in concrete. Interesting that the durability of nanomodified samples exceeds the durability of control samples during compression testing in 5.8 times and during bending test in 5.1 times. Results of testing you can see at the below figures. These figures show that the samples which were made only by using magnetic water have the durability less than 20-25%. So, preparing of the concrete mix by using AVS-100 unit is more qualitative. But when we added more than 1 % of nanoagents we observed reduction of durability degree during each of compression tests and bending tests. As result of our investigations we were conclude that nanoagents have a great impact on the durability values of concrete mixes and processes of concrete structure formation. 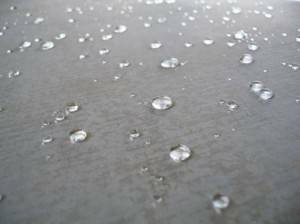 It is reasonable to suppose that nanomodified concrete will have the best values of durability and longevity. Usage of the carbon nano-particles in the concrete production has great prospective future. 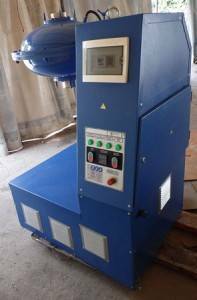 By using AVS-100 you can also increase the fineness of cement grinding and as result enlarge the grade of the cement.